After axing the Lancer Evo, Mitsubishi made it clear that its future would be full of SUVs and crossovers, which is not surprising given that the Outlander and Outlander Sport have consistently been the best-selling models in the Japanese automaker’s lineup. 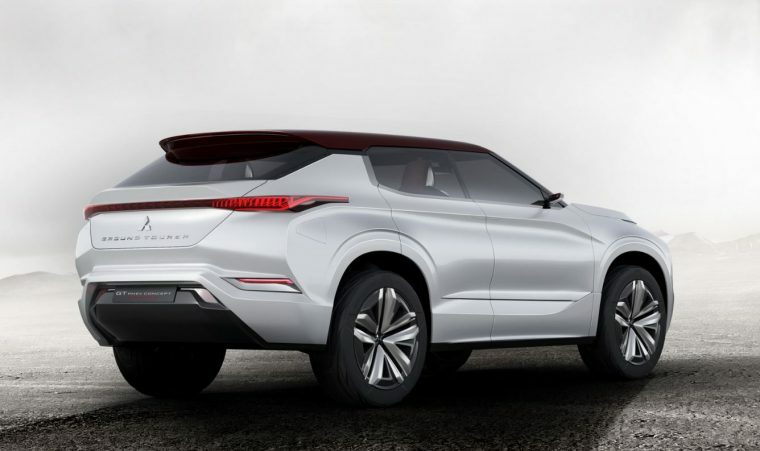 Mitsubishi continued to hint at that future at the 2016 Paris Motor Show, where it unveiled the latest in a series of plug-in electric SUV projects: the Mitsubishi GT-PHEV concept. Large, luxurious, and head-turning under every angle, the GT-PHEV reinterprets Mitsubishi’s current design language with a reworked version of the iconic “Dynamic Shield” grille of the existing Outlander and Outlander Sport. Like all recent SUV concepts the automaker has revealed, the Mitsubishi GT-PHEV boasts a hybrid powertrain under the hood. This specific one combines a 2.5-liter gasoline engine with three electric motors, one of which assists the engine in driving the front wheels while the other two work on the rear wheels, giving the concept an unusual all-wheel drive system. The 25-kWh lithium-ion battery pack can store enough juice for 75 miles, though there’s no way to know what real-world figures on a production vehicle might look like. Nobody can be sure when Mitsubishi will actually launch its upcoming Outlander Plug-In Hybrid, which has been delayed several times already. One thing is for sure, though: with all of the concepts Mitsubishi has revealed in the interim—including the XR-PHEV, XR-PHEV II, eX, GC-PHEV, and now the GT-PHEV—there is little reason to believe the automaker’s creative minds are running out of ideas.